<h2>Computers replace bunnies in Europe&#039;s cosmetics testing labs</h2><br /><p>The use of animals in testing cosmetics and their ingredients has been <a href="http://europa.eu/rapid/press-release_IP-13-210_en.htm" target="_blank">completely banned in the EU</a> since March 2013. That has helped to drive new ways of thinking about chemical safety.</p> <p>Complex computer models developed by a project known as COSMOS can predict where a chemical ends up in the body after it comes into contact with human tissue. The project is also compiling a database of over 5 000 substances used in making cosmetics, and their effects.</p> <p>‘The power of the COSMOS database is that we can search for an effect, for example on the liver, and link that to chemistry,’ said Mark Cronin of Liverpool John Moores University in the UK and scientific coordinator of COSMOS.<br /> <div class="citationsBlock"> <h3>The Issue</h3> <p>The EU has been working on banning animal testing for cosmetics for over 20 years. It started in 1993 when a directive scheduled a ban to take effect in 1998, but that ban was later delayed due to a lack of alternatives. </p> <p>Prohibiting animal testing for finished cosmetic products was finally banned in 2004 and by 2009 this covered testing for cosmetic ingredients too. Following this, companies could still conduct tests outside the EU and rely on the results to legally sell their products in Member States, but this has also been prohibited after a full ban was enforced<a href="http://europa.eu/rapid/press-release_IP-13-210_en.htm"> in March 2013</a>. </p> <p>From 2007 to 2011, the EU spent EUR 238 million on research to develop alternative methods of safety testing cosmetics. </p> </div> </p> <p>Through identifying the pathway, the researchers can combine the results of test-tube experiments with computer modelling to produce a safety assessment, without harming animals.</p> <p>Working from the molecular level, the model can, for example, trace a substance through the subsequent levels, such as the cell, until it is seen to have an effect on an organ or an individual, or even a population.</p> <p>The research helps in tracing links between exposure to a substance and how much of it actually reaches a particular organ or cell.</p> <p>‘So we can now go to the COSMOS database and ask what kinds of chemical structures are causing liver toxicity through particular mechanisms,’ said Cronin. ‘People have not been able to ask those kinds of questions before.’</p> <p>Such models support safety assessments and the data help to identify thresholds for toxicological concern – the level of exposure to an ingredient that can be considered safe.</p> <p>The work is part of an umbrella initiative known as SEURAT, which is funded by the EU and the industry body Cosmetics Europe to develop new scientific tools for better understanding of the possible risks of applying repeated doses of chemicals onto the human body.</p> <p>‘The policy objective is clear – to replace, reduce and refine the use of animals for scientific purposes,’ said Professor Maurice Whelan, head of the Systems Toxicology Unit at the European Commission's in-house research service, the Joint Research Centre (JRC), and a member of SEURAT. The ultimate aim is a complete end to animal tests, although the EU still allows these for biomedical research and safety testing where considered justified.</p> <p>SEURAT, which finishes this year, will be followed by EU-ToxRisk, a new Horizon 2020-supported research initiative intended to maintain the push to develop alternatives to animal testing in chemical assessments.</p> <p>Crucial to understanding the toxicity of a chemical is understanding the human liver, which plays such an important role in dealing with troublesome chemicals once they are in the human system.</p> <p><strong>Liver on a chip</strong></p> <p>Among the six SEURAT projects is HeMiBio, which has developed a ‘liver on a chip’. It combines different kinds of human liver cells so they can be assessed under exposure to different chemicals. Sensors monitor the conditions and effects, giving insights into toxic processes.<span><br /> <div class="quote-view quotesBlock quote_vertical_right"> <div class="quotesTop"><img src="https://horizon-magazine.eu/sites/all/themes/horizon/images/quotes_top.png" alt="" title="" /></div> <p>‘We are really optimistic that these kinds of systems and combinations promise to replace animal tests, at least to a certain extent.’</p> <blockquote><p>Professor Elmar Heinzle, Saarland University, Germany</p></blockquote> <div class="quotesBottom"><img src="https://horizon-magazine.eu/sites/all/themes/horizon/images/quotes_bottom.png" alt="" title="" /></div> </div> <p></span></p> <p>The problem is that human liver tissue available for such research is scarce, usually donated by patients who undergo surgery for disorders such as liver cancer.</p> <p>So researchers in another SEURAT project, known as NOTOX, are working on ways to get alternative cells in the laboratory to respond to testing in a similar way to tests on animals or humans.</p> <p>NOTOX has also been assessing the effects of various chemicals, using computers and donated human tissue in the laboratory to draw up toxicology models.</p> <p>‘We are quite confident that using these cells means we take a significant step forward,’ said NOTOX scientific coordinator Professor Elmar Heinzle, from Saarland University, in Saarbrücken, Germany. ‘It is not complete, but human cells or human microtissues cultured <em>in vitro</em> (in laboratory equipment) help us to get a much better understanding of molecular mechanisms.’</p> <p>He believes that analysing toxicity pathways, combined with mathematical modelling, provides a real alternative to using laboratory animals.</p> <p>‘We are really optimistic that these kinds of systems and combinations promise to replace animal tests, at least to a certain extent,’ Prof. Heinzle said.&nbsp;</p> <br /> <img src=”http://www.google-analytics.com/collect?v=1&tid=UA-40077089-1&cid=computers-replace-bunnies-in-europes-cosmetics-testing-labs&t=event&ec=republish&ea=read&el=computers-replace-bunnies-in-europes-cosmetics-testing-labs&cs=republish&cm=republish&cn=republish&cm1=1" /> This post <a href="https://horizon-magazine.eu/article/computers-replace-bunnies-europes-cosmetics-testing-labs.html">Computers replace bunnies in Europe&#039;s cosmetics testing labs</a> was originally published on <a href="https://horizon-magazine.eu/">Horizon: the EU Research &amp; Innovation magazine | European Commission</a>. Organs simulated on a chip and vast chemical databases are helping researchers to work out whether a new mascara, toothpaste or eye shadow is likely to make you sick, now that they aren’t allowed to test them on animals. The use of animals in testing cosmetics and their ingredients has been completely banned in the EU since March 2013. That has helped to drive new ways of thinking about chemical safety. Complex computer models developed by a project known as COSMOS can predict where a chemical ends up in the body after it comes into contact with human tissue. The project is also compiling a database of over 5 000 substances used in making cosmetics, and their effects. ‘The power of the COSMOS database is that we can search for an effect, for example on the liver, and link that to chemistry,’ said Mark Cronin of Liverpool John Moores University in the UK and scientific coordinator of COSMOS. 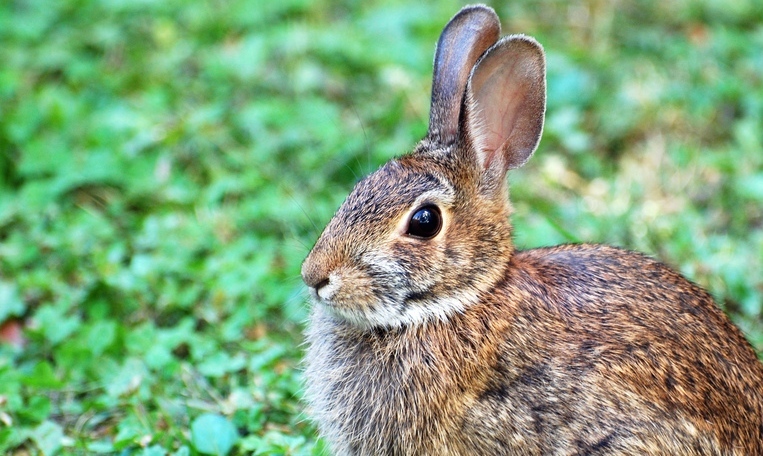 The EU has been working on banning animal testing for cosmetics for over 20 years. It started in 1993 when a directive scheduled a ban to take effect in 1998, but that ban was later delayed due to a lack of alternatives. Prohibiting animal testing for finished cosmetic products was finally banned in 2004 and by 2009 this covered testing for cosmetic ingredients too. Following this, companies could still conduct tests outside the EU and rely on the results to legally sell their products in Member States, but this has also been prohibited after a full ban was enforced in March 2013. From 2007 to 2011, the EU spent EUR 238 million on research to develop alternative methods of safety testing cosmetics. Through identifying the pathway, the researchers can combine the results of test-tube experiments with computer modelling to produce a safety assessment, without harming animals. Working from the molecular level, the model can, for example, trace a substance through the subsequent levels, such as the cell, until it is seen to have an effect on an organ or an individual, or even a population. The research helps in tracing links between exposure to a substance and how much of it actually reaches a particular organ or cell. Such models support safety assessments and the data help to identify thresholds for toxicological concern – the level of exposure to an ingredient that can be considered safe. The work is part of an umbrella initiative known as SEURAT, which is funded by the EU and the industry body Cosmetics Europe to develop new scientific tools for better understanding of the possible risks of applying repeated doses of chemicals onto the human body. ‘The policy objective is clear – to replace, reduce and refine the use of animals for scientific purposes,’ said Professor Maurice Whelan, head of the Systems Toxicology Unit at the European Commission's in-house research service, the Joint Research Centre (JRC), and a member of SEURAT. The ultimate aim is a complete end to animal tests, although the EU still allows these for biomedical research and safety testing where considered justified. SEURAT, which finishes this year, will be followed by EU-ToxRisk, a new Horizon 2020-supported research initiative intended to maintain the push to develop alternatives to animal testing in chemical assessments. Crucial to understanding the toxicity of a chemical is understanding the human liver, which plays such an important role in dealing with troublesome chemicals once they are in the human system. Among the six SEURAT projects is HeMiBio, which has developed a ‘liver on a chip’. It combines different kinds of human liver cells so they can be assessed under exposure to different chemicals. Sensors monitor the conditions and effects, giving insights into toxic processes. The problem is that human liver tissue available for such research is scarce, usually donated by patients who undergo surgery for disorders such as liver cancer. So researchers in another SEURAT project, known as NOTOX, are working on ways to get alternative cells in the laboratory to respond to testing in a similar way to tests on animals or humans. NOTOX has also been assessing the effects of various chemicals, using computers and donated human tissue in the laboratory to draw up toxicology models. He believes that analysing toxicity pathways, combined with mathematical modelling, provides a real alternative to using laboratory animals. ‘We are really optimistic that these kinds of systems and combinations promise to replace animal tests, at least to a certain extent,’ Prof. Heinzle said.